Porsche isn’t the only team running a nod to Le Mans’ past this year. Nissan is here to show that they’re not total newbies to endurance racing by branding its latest LMP1-class racer in its classic Group C R90C colors. 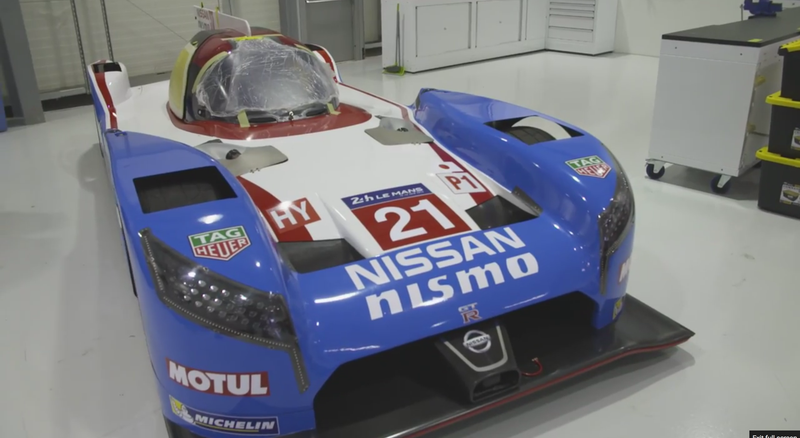 Watch this awesome time lapse of the #21 car being assembled and dressed up as the ultimate Nissan. Sure, I’ve ranted against the constant demand for old liveries in the past, but in Nissan’s case, this is good branding. It’s not an old livery for an old livery’s sake. Instead, this one actually shows that it isn’t the company’s first time at Le Mans. Remember the R90C from the glorious Group C era? Well, now you will, because it’s in yo’ face at the 2015 running of the 24 Hours of Le Mans. The R90C made its one and only appearance at Le Mans for 1990, where the highest finishing Nismo entry took fifth place. It was notable for reaching the highest speed on the Mulsanne straight following the installation of chicanes there at 226.9 mph. A wastegate malfunction during qualifying also made the R90C have up to 1100 bhp (over its usual 1000!) as well. Crazy? Yes. The kind of crazy that’s worth repeating (and exceeding, if this front-wheel-drive thing works out)? Absolutely. So, will Nissan beat that fifth-place result this year? We’ll see in a couple weeks. In the meantime, enjoy this cool glimpse into everything that makes it work.